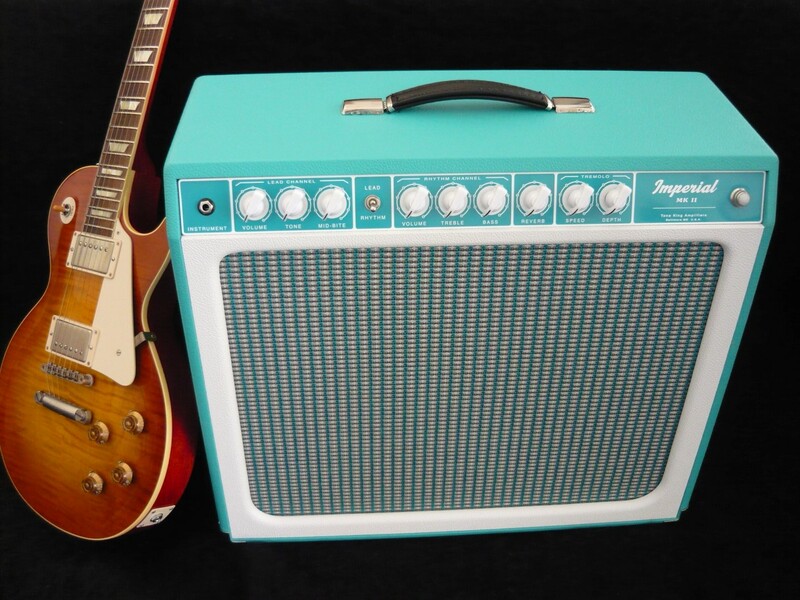 The Imperial Mk II 20w Combo has become a proven favorite of guitarists seeking authentic vintage tone. Utilizing all-tube circuitry, traditional spring reverb, and a specially voiced, highly resonant cabinet, the Imperial captures the true experience of playing a well-worn vintage amplifier - both in tone and feel. Tuned reactive load. Volume Level Compensation circuitry progressively modifies the EQ curve and compression at lower attenuation settings. This means that the sound you hear at low volume is just as fat and present as it is at high volume. Gibson 59R is for sale.